Registered Nurse Certification in Oregon enhances a number of soft skills, knowledge, and capabilities of a nurse. Certification increases the confidence and makes them all the more efficient and responsible. The license in the state is issued by the Oregon State Board of Nursing, which aims in safeguarding the health and wellbeing of the public by offering regulation of and, guidance for, admission into the specified profession, and long-lasting safe and sound practice. Submit non-refundable licensure application fee and fingerprint based criminal background check processing fee made payable to the Oregon Board of Nursing. Completed graduation from an approved nursing education program within the last 3 years in the U.S., as recognized in an official transcript. Provide evidence of successfully completed Diploma, Baccalaureate Degree, Associate Degree, or Master’s Degree Program in nursing field, which must be approved by the Oregon Board of Nursing. Complete a national criminal history background check. Provide United States Social Security Number (SSN). Completed fingerprinting documents sealed by the fingerprinting facility, submitted in a separate envelope. Completed examination picture identification form present at the last page of the licensure application and attach a recent passport-type photo to it. Request your nursing school in the United States or its jurisdiction to send all the official transcripts to the Oregon Board. The transcript must have an official seal, demonstrate the degree awarded, the degree date, and must bear the appropriate registrar’s signature. Some requirements (IV-VI) are similar to the examination requirements mentioned above. Passed the SBTPE (State Board Test Pool Examination) before 1988; or the NCLEX-RN (National Council Licensure Examination for registered nurse) after 1988. If you have completed your graduation from a nursing program approved by the Board with a degree equivalent for the licensure level you are seeking for during the past 5 years. If you have completed your re-entry program approved by the Board equivalent for the licensure level you are seeking for during the past 2 years. 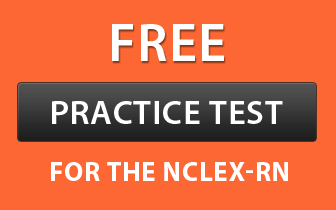 Provide a written verification from the state where you had passed the national licensure exam. Licensure exams developed by the NCSBN (National Council of State Boards of Nursing, Inc.) are recognized by the OSBN. If your current licensure or the license which you had recently used for nursing practice is from a state other than your original state of licensure, then you must provide a written verification from that particular state as well. It must have the appropriate signature of the registrar. It must demonstrate the date you had completed the nursing program as well as the degree granted. Have your official transcripts issued by your nursing school evaluated by a credentials and language evaluation firm approved by the OSBN. Submit an original certificate from the CGFNS (Commission on Graduates of Foreign Schools of Nursing). Submit evidence of successful completion of graduation from a nursing program in the U.S. with an advanced degree. After opening the above link, click on “Forms” mentioned on the left side of the page. In the given varied number of forms, select “NCLEX Exam Application for US Graduates” option, mentioned under RN/LPN Forms & Applications. Similarly, select “NCLEX Exam Application for Non-US Graduates” option, mentioned under RN/LPN Forms & Applications. Carefully read the information mentioned in the form. Download and review the Candidate Bulletin, which includes the form as well as all the detailed instructions required for registration. Once all the required documents are received and reviewed by the Board and are found in correct form, the Board will inform the Pearson VUE. Upon being notified by the Oregon Board of Nursing, you will receive an ATT (Authorization to Test) by the Pearson VUE. The validity of the ATT dates cannot be extended because of any reason. As soon as you receive the ATT, contact the Pearson VUE to schedule the exam. Appear and take the exam. The Board will receive the exam results and when all the documents and your licensure application are approved, an RN license in the state of Oregon will be issued. In case you do not pass, you can re-take the licensure exam again after approximately 45 days of receiving the exam results. U.S. GraduatesAfter opening the above link, click on “Forms” mentioned on the left side of the page. In the given varied number of forms, select “Endorsement Application for US Graduates” option, mentioned under RN/LPN Forms & Applications. Non-U.S. GraduatesSimilarly, if you are a Non-U.S. Graduate, then select “Endorsement Application for Non-US Grads” option, mentioned under RN/LPN Forms & Applications. If you are applying by paper application, then read the instructions carefully before filling the essential details of the form. When all the necessary documents and licensure application are approved, an Oregon license will be issued by the Board, allowing you to start nursing practice in the state. www.osbn.state.or.usAfter opening the above link, click on “Forms” mentioned on the left side of the page. In the given varied number of forms, select “Verification of original license” option, mentioned under RN/LPN Forms & Applications. www.osbn.state.or.usAfter opening the above link, click on “Forms” mentioned on the left side of the page. In the given varied number of forms, select “Verification of current license” option, mentioned under RN/LPN Forms & Applications. Complete the essential details and submit it to that state’s nursing board. All RN certificates and licenses in the state of Oregon expire at midnight the day prior to your birthday in every 2 years. Generally, the OSBN notifies the candidates in about six to eight weeks prior to your license expiry date in the form of a renewal notice. Completed at least 960 hours of nursing practice within the last five years. Completed a re-entry program approved by the Board during the 2 years preceding renewal. Completed graduation from a nursing program approved by the OSBN within the last 5 years. In addition to the above renewal requirements, the applicants are required to complete one time fulfillment of seven hours of CE relating pain management, which includes 1 hour course offered by the Oregon Pain Management Commission and the remaining 6 hours can be fulfilled by any pain management topics that you can choose according to your choice. Once these requirements are fulfilled, there are no additional CE requirements for renewal. www.osbn.state.or.usAfter opening the above link, click on “Forms” mentioned on the left side of the page. In the given varied number of forms, select “Renewal/Reactivation Application for RNs, LPNs, and APRNs” option, mentioned under RN/LPN Forms & Applications. This requirement is same as point number III mentioned in requirements to obtain RN license by endorsement. All renewal and licensure applications are practiced through the Oregon Law Enforcement Data System and possibly run through the NCSBN (National Council of State Boards of Nursing) Information. Completed national criminal history background check. It permits all nurses to “inactivate” their nursing license if they no longer wish to continue their nursing practice, rather than simply letting it expire. Upon opening the above Board website, select “Forms” written on the left side of the page. You will see a list of forms. Choose “Inactive Status Application Form” under “RN/LPN Forms & Applications”. 120 hours of program in current nursing practice, this includes pharmacology which is available through distance education programs. At least 160 hours of administered clinical practice. Nurses can also provide an individualized plan for re-entry for approval by the Oregon Board. These are required to comprise of 120 hours of instruction and at least 160 hours of supervised clinical practice. Complete and submit an OSBN Re-Entry with Limited License application as well as licensure application (either by examination, endorsement, delinquent renewal, renewal, reinstatement, or reactivation). This limited license application is employed for the clinical component of your re-entry program. A minimum of 1 week notice before clinical start date is required to permit time for issuing limited license. Choose a standardized re-entry program from the list provided by OSBN or alternatively, you can also develop an individualized plan for Board approval. 120 hours of instruction in pharmacology and at least 160 hours of supervised clinical practice. Confirmation verifying your successful completion of the required 120 hours of instruction in nursing practice (that includes pharmacology), and requisite number of clinical practice hours. Successfully completed and signed preceptor evaluation. Completion of outcomes or objectives and necessary administered clinical practice hours. Recommendation for licensure by nurse manager and clinical preceptor. Retired Nurse Status permits nurses to retire their nursing licensure at the end of their nursing profession, rather than allowing it to expire. After clicking on the above link, the Board website will be opened select “Forms” written on the left side of the page. Click “Retired Status Application” under “RN/LPN Forms & Applications”. Certificate or license date describing when it was originally issued, its last renewed date, as well as the expiration date. Whether or not the certificate or license has ever been disciplined. Disciplinary actions may include civil penalty, reprimand, suspension, probation, voluntary surrender, and revocation. Whether or not the person has prescription privileges. The nurse practitioner specialty type of the individual (if applicable).